Asian stock markets dipped on Wednesday after Pyongyang abruptly called off talks with Seoul, throwing a U.S.-North Korean summit into doubt, while surging bond yields revived worries about faster U.S. interest rate hikes that could curb global demand. A cancellation of the June 12 summit in Singapore could see tensions on the Korean peninsula flare again even as investors worry about China-U.S. trade tensions and the sustainability of global economic growth. The rise in yields hurt U.S. share markets on concerns it would undercut stock valuations. The strong U.S. data underpinned the dollar in currency markets. The yen largely shrugged off data that showed Japan’s economy shrank by 0.6% on an annualized basis in the January-March quarter, a sharper contraction than the median estimate of 0.2% and marking the end to eight straight quarters of expansion. High-yielding Asian currencies were particularly vulnerable to higher U.S. yields, which could prompt investors to shift funds out of emerging markets. Crude oil prices remained near recent highs amid concerns U.S. sanctions on Iran may restrict crude exports from a major producer. The dollar hovered near a five-month high against a group of major currencies on Wednesday, as a surge in the benchmark 10-year Treasury yield above 3 percent reignited a rally that had lost steam last week. The dollar has gained since mid-April as easing tensions in the Korean Peninsula and moves by China and the United States to avoid a full-blown trade war allowed investors to focus on the yield advantage the United States enjoys over other countries. The advance stalled last week after weaker-than-expected April U.S. inflation data, but regained traction overnight as strong U.S. consumer spending numbers sent long-term Treasury yields surging to a seven-year peak of 3.095 percent. The 10-year Treasury yield had hovered around 3 percent since late last month on concerns about rising inflation and a ballooning federal budget gap. But until Tuesday, it was unable to convincingly break above 3 percent. The uptick in U.S. yields which unnerved equity markets and sent Wall Street shares significantly lower on Tuesday. The yen’s tends to draw demand in times of market turmoil and investor risk aversion. Broader risk sentiment was also dented after North Korea on Wednesday opted to suspend high-level talks with South Korea and said it may reconsider holding a summit with the United States if Washington continues to unilaterally insist on Pyongyang giving up its nuclear programme. Oil prices retreated from multi-year highs on Wednesday morning in Asia, pulled back by an industry organization’s comment that U.S. crude stockpiles built unexpectedly last week. The American Petroleum Institute said crude stockpiles rose nearly 5 min barrels, compared with analysts’ expectations for a 763,000-barrel draw. Rising U.S. drilling for new oil production has also kept oil prices in check. U.S. drillers added 10 oil rigs in the week to May 11, bringing the total count to 844, the highest level since March 2015. 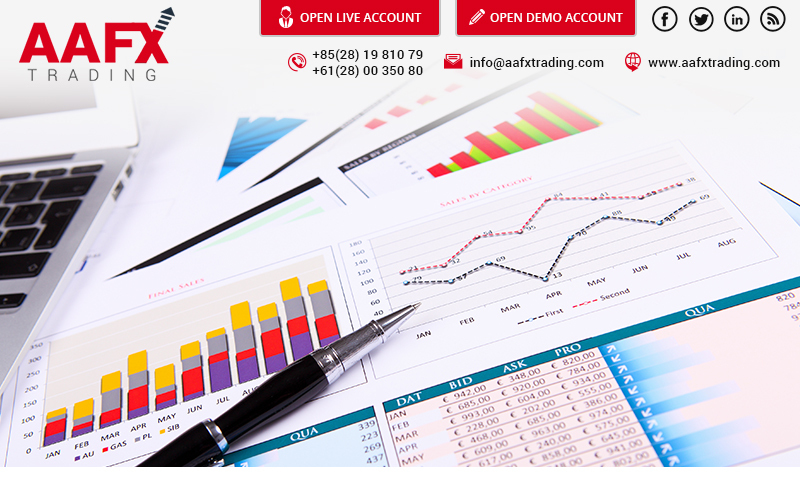 Additionally, oil prices eased as the U.S. dollar strengthened against other currencies. As the dollar strengthens, investors can retreat from dollar-denominated commodities like oil. Oil prices have surged more than 70% over the last year as demand has risen sharply while production has been restricted by OPEC, led by Saudi Arabia, and other producers, including Russia. The tightening market has all but eliminated a global supply overhang which depressed crude prices between late 2014 and early 2017 Looming U.S. sanctions against Iran have also raised fears that oil markets will face shortages later this year when trade restrictions take effect. Iran currently produces around 4% of global oil supplies and is OPEC’s third-largest producer. Meanwhile, traders are worried that near-record high refinery runs in China may be short-lived. China’s refinery runs rose nearly 12% in April from a year earlier, to around 12.1 mn bpd, marking the second-highest level on record on a daily basis. Gold on Tuesday made its intraday high of US$1314.77/oz and low of US$1288.63/oz. Gold was down by 1.719% at US$1290.47/oz. Based on the charts and explanations above; sell below 1300-1340 keeping stop loss closing above 1340 and targeting 1311-1303-1295 and 1289-1280. Buy above 1311-1280 with risk below 1280, targeting 1321-1331-1340 and 1350-1357. Silver on Tuesday made its intraday high of US$16.53/oz and low of US$16.18 /oz. Silver settled down by 0.145% at US$16.25/oz. On daily charts, silver is sustaining below 200DMA (16.77), breakage above will lead to 17.25-17.70. MACD is above zero line and histograms are increasing trend and it will bring bullish stance in the upcoming sessions. RSI is in oversold region, indicating buy signal for now. The Stochastic Oscillator is in neutral region and giving negative crossover to show downside move for the intraday trade. Based on the charts and explanations above, buy above 16.05-14.90 targeting 16.50-17.00-17.75 and 18.20-18.60; stop breakage below 15.00. Sell below 16.50-18.20 with stop loss above 18.20; targeting 16.00-15.60 and 15.00-14.50. Crude Oil on Monday made an intra‐day high of US$71.22/bbl, intraday low of US$70.45/bbl and settled downby 0.266% to close at US$70.98/bbl. Based on the charts and explanations above; sell below 71.00-73.50 with stop loss at 73.50; targeting 71.00-70.50 and 70.00-69.60-68.90. Buy above 71.00-68.90 with risk daily closing below 68.50 and targeting 71.50-72.00 and 72.80-73.50. EUR/USD on Tuesday made an intraday low of US$1.1937/EUR, high of US$1.1937/EUR and settled the day down by 0.746% to close at US$1.1836/EUR. Based on the charts and explanations above; sell below 1.1850-1.2100 targeting 1.1800-1.1730 and 1.1650-1.1600 with stop-loss at daily closing above 1.2150. Buy above 1.1800-1.1600 with risk below 1.1600 targeting 1.1850-1.1915-1.1975 and 1.2000-1.2070. GBP/USD on Tuesday made an intra‐day low of US$1.1819/GBP, high of US$1.3571/GBP and settled the day down by 0.368% to close at US$1.3504/GBP. On daily charts, prices are sustaining above 50DMA (1.3953) is become major support level. 14-D RSI is currently in neutral region and direction is difficult to predict on RSI bases. The Stochastic Oscillator is in oversold territory and giving negative crossover to confirm bearish stance. MACD is below zero line and histograms are decreasing lead to downward movement. Based on the charts and explanations above; short positions below 1.3550-1.3850 with targets at 1.3500-1.3450 and 1.3400-1.3320. Buy above 1.3500-1.3320 with targets 1.3550-1.3605 and 1.3700-1.3750 with stop loss closing below 1.3450. USD/JPY on Tuesday made intra‐day low of JPY109.63/USD and made an intraday high of JPY110.45/USD and settled the day up by 0.629% at JPY110.33/USD. Sell below 110.00-112.00 with risk above 112.00 targeting 109.60-109.00-108.40 and 107.50-107.00-106.70. Long positions above 109.00-106.00 with targets of 109.60-110.00 and 110.50-111.00 with stop below 106.00.